Reading this reminded me how useful it is to read a collection of an author’s short stories every so often. I read a lot of science fiction and fantasy short stories in print and online magazines. I begin to recognize author’s names as familiar and for a rare few I see and recall the names sufficiently to know if I tend to like their work enough to search out their novels or collections. But the vast majority of names get lost in the sea of memory. Two of the stories in this collection (“Inside Job” and “All Seated on the Ground”) seemed familiar, the latter which I fully recalled reading and loving. 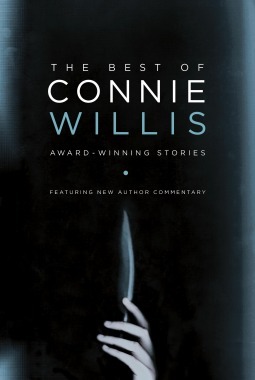 Looking back in my records I found they are the only two Connie Willis works I’ve ever read. Now after reading the other stories in this collection I know I need to keep finding and reading more. Willis introduces this collection stating that the only unifying theme of the stories is that she wrote them. The genres of sci-fi, the plots, the locations, the voices, the tones: they all vary. The idea struck me while rereading the two stories I was familiar with, and considering those new to me, that there is another link between the stories found here. Each at its heart is concerned with characters facing absurd and inexplicable situations that they then struggle to make sense of. The stories are of people trying to find order in a seemingly chaotic, uncertain, and inexplicable world. This fact, more than any genre conventions make her stories science fiction, for they are all about discovery, of observing something mysterious and working out the truth behind the matter. The most absurd of her stories include one where attendees of a quantum physics convention in Hollywood try and deal with the counter-intuitive nature of their field and the city’s culture. In another, tourists wander through Egypt uncertain if they are alive or dead. With “Inside Job” a professional debunker is faced with the prospect that the spirit of US history’s greatest skeptic is communicating through a charlatan medium. In another, aliens arrive on Earth only to just stand in silence, absurdly looking dour and displeased, doing nothing to communicate as the humans scramble around attempting to understand what the visitors want. All the stories thus seem extremely ‘literary’ despite being couched in science fiction settings and straightforward, light language. She writes with a bright humor, poking fun at her characters as they fumble down the road to understanding. Her writing is suffused throughout with a joy for stories: those of literature, theater, and film. At the same time she conveys a deep respect for scientific, rational thought in all walks of life, but a sense of wonder and belief in the capacity of the human soul for love and finding things greater.